Huge thanks -- HUGE -- to my band-mates, for getting me through the toughest time of my life ... you smiled, you made me smile, and together we created happy memories for our audiences, even as our own memories of March Madness 2015 will be bittersweet. Kate Valley, Don Pigeon, Matt Miller, and Ann & Cal Lloyd: I love you! Thanks, too, to Rob Adolph for being our wonderful sound support, and thanks to Tam Smalling for merch sales and everything else. I am sure Greg is smiling -- Long Live Celtic Heritage! Hey friends, letting you know I’m doing fine. Carrying on, just the way that Greg wanted me to do. In his last few days, as we faced the reality of his passing, I asked Greg, “You know I’m not a flowers kinda gal. Is there some charity or something that you’d like people to contribute to in your memory?” Without hesitation, he named New World Celts, as they too have a mission to share Celtic culture. When I contacted our home chapter, New World Celts - (Asheville Chapter), they said they’d been considering establishing a scholarship in his honor/memory. Obviously, it was meant to be! When I shared this with Greg, he was immensely pleased. 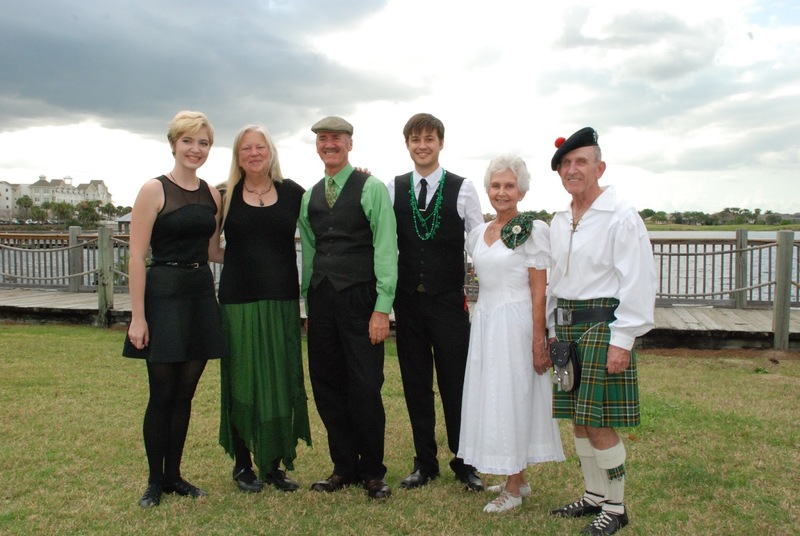 A scholarship, for the exploration and study of Celtic music and dance. I can think of no more fitting tribute to a man for whom music was not just an interest, but a passion and indeed a way of life. So it’s with great pleasure that I call your attention to the Greg McGrath Memorial Scholarship Fund. New World Celts, Asheville (NC), a chapter of New World Celts, a USA 501c3 charitable corporation, will administer the fund. (For those unfamiliar with the New World Celts, their mission statement appears at the end of this note.) I’ll be involved with the scholarship every step of the way. Details, including announcement of a selection/steering committee, eligibility, and application process will be forthcoming. I’m very excited about this! Though it’s a big task, I’d love to name its first recipient by summer’s beginning. Thank you all, for all that you have meant to Greg and me, both personally and professionally. Mission Statement of the New World Celts: To promote awareness of the outstanding contributions and history of the Celtic peoples in the formation and continuance of the New World. To provide a forum for the exchange and promotion of Celtic cultural information between the Celtic Associations of the New World; To act as liaison for coordination of and assistance to these Organizations. 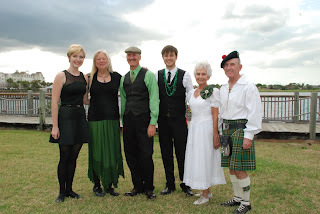 To provide a vehicle for charitable donations to promote Celtic culture in the New World in the areas of Cultural awareness, music, dance, athletics, re-enactments, and other areas deemed appropriate by the International Execute Committee. To support all Celtic cultural non-political, non-religious, non-racist organizations that espouse the same high ideals as ours, regardless of whether they are Scots, Irish, Galician, Manx, Welsh, Breton, or Cornish. To perpetuate Celtic Culture and history in the New World. To provide a fraternal atmosphere for members. I am sitting quietly, quietly at the Hospice Care Center. It is a beautiful place of love and light. And I am watching Greg sleep. I've watched him the last few days ... no matter how much pain he is in or how visibly agitated, he always has a compliment and a kind word for his caregiver. He always thanks them. And they all love him; you can tell he has a positive influence on them; even though they treat thousands of different people with hundreds of different concerns they clearly regard him as someone special. I think: Where have I seen this before? And I remember: my father. Greg is so very like my father in that regard. With both, there were those quick and fearsome flashes of temper when someone or some situation had just gone too far. But never, ever failing to give credit where credit was due. Even in sickness, helping those around him to feel good.